Twitter is one of the hot social media for bloggers ,webmasters, professionals,celebrities as like common people.No doubt Twitter is one of the best micro blogging social media for content marketing tools.It is needed to built up a respectable following,engage with people,send out a steady stream of diverse original content and re tweets,and occasionally attend a Twitter chat.Everything is going well and good,until the Twitter account is blocked.It is most important that it needs 140 characters to express your minds of business or any things.Naturally it covers the contributing a reasonable number of Tweets throughout the day.As we maximum twitter users know that the average lifespan of a Tweet is supposedly only one hour as it is said by ReadWriteWeb.So I think that the number of Tweets per day is somewhere around 5-10 for the normal users to internet savvy. 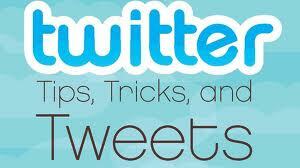 Today I am going to discuss top ten solid factors of the tweets stream to keep live for generating huge traffics. Tweet an important piece of content 2-3 times in one day,at different times as only change the Tweet wording up a bit to keep it fresh. There are applications like Buffer or Crowdbooster those allow auto tweet with pre fix time. It is needed to respond to them who are re tweeted the targeted tweets.Just look for 5 people who recently re tweeted and give real time feedback to them. Twitter has allowed to take a pretty picture and add a relevant comment to it. It is needed to find out minimum 5 people who follow and directly do n't engaged with yet, read their bio and/or website,and mention them with a comment or compliment. It is helpful to use the'OH'tag to tweet something interesting you heard someone else say IRL. Don’t resort to quotes all the time as highlighting a great phrase and Tweet it out using the integrated share tool. Asking a question to the followers is a great tricks to grab attention of the followers.It could be something industry specific,or as minimal. Just as the big project is starting on ? Can any one leak out a little tidbit of it as a teaser ? People love to be on the inside,behind the scenes. A series of Tweets that are related to business or any subject matters will help the followers to identify the users motive and aim with objectives.Such it has seen that twitter users normally follow the same interest based people. Twitter has become one of the great marketing tools for the bloggers,webmasters and professionals.Normally it describe the whole motives of any one with 140 characters which brings real time basis.Twitter also helps to establish a brand with out time wasting.